The road to successful marketing begins with strategy. A marketing strategy can define your core competencies and become the basis for creating a sustainable competitive advantage. Yet, taking a step back from the busy day-to-day demands of business in order to get one in place is a challenge. It requires following a process, managing conflicting interests, making difficult decisions, and most of all, it takes time. Creating a marketing strategy can feel like an overwhelming task. But it doesn’t need to be completed in one go. You can choose to take a phased approach to fit your budget and your planned objectives. Or, if you need something specific, choose from a range of services that we offer. 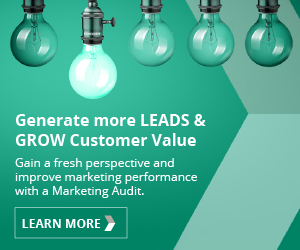 Make marketing deliver more by conducting a marketing audit. Use a pricing strategy that is attractive to your target market. Create a content strategy to improve marketing results and your ROI in content. Make good market entry decisions with a well thought out market entry strategy. You will achieve better results if your goals and expectations, as well as how to achieve them, are clearly defined. Define how you will compete, providing greater focus and effectiveness for your marketing activity. Deliver what our customers need and do so in a way that builds long-lasting relationships and brand advocates. It’s essential to follow a systematic approach when creating a marketing strategy. Research is always the first step and this can be completed in a number of ways, to fit any size of budget. Using proven strategy tools, we can help you create a strategy to achieve your growth objectives. The road to successful marketing begins with a strategy. We can help you find the time to put one in place.